B2b business refers to the commerce that occurs between two companies rather than with the company and the consumers (Carrigan, and Di Marco, B., 2017.). 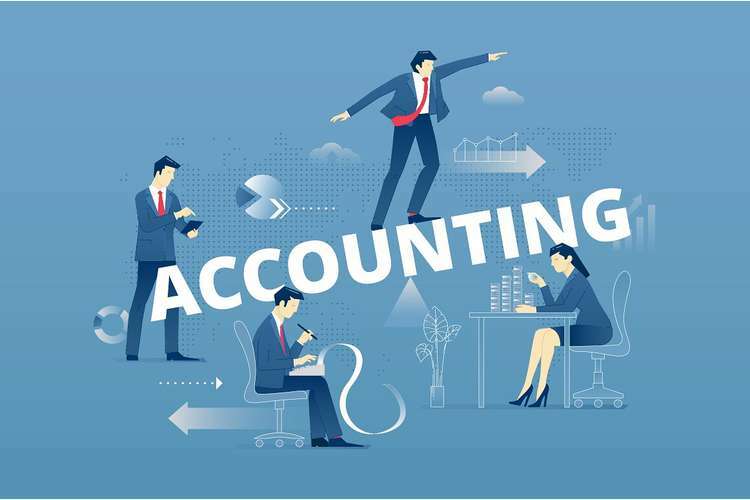 The finance accounting services are the companies that provide the analysis and the report of the financial transactions that is pertaining to the business companies. The company is situated in Pyrmont, North South Wales provides affordable aids to the new business and start-ups by providing monthly subscription. The company mainly provided financial services like online book keeping, taxation advices, key management to enhance the progress of the companies in the better ways (. The Nudge accounting provides a backup report of all the transaction that are taking place in the company and then provide the services according to the requirement of the user. The company principle goal is to ensure the finance of the companies safe. It provides efficient access through cloud storage. The goal of the company is to provide end-to-end solution about the businesses through online systems. It ensures the efficient growth the companies that are linked with them. The company keeps it prime goals to be up to the mark in the field of technology as well as the market. The company have the upgraded technologies that provide better way to compete with the other companies. The principle goals of the company is to aid the businesses worldwide through a class of the financial accounting services and advisory. The company is mainly thriving in two countries and have been achieving great success. The company view their challenges as the opportunity and overcome each barriers like communication, technology and culture. The table will assess the overall position that the company that is assessed through various attributes. The attributes will give be rated according to the performance of the company, its exposure other measures that is important for the company to grow with the competition prevailing in the same business models. The following table shows the assessment of the company named Nudge Accounting. How does the website URL relate to the business? The URL of the company relates well with the business. Availability over the internet search engines. The URL is on the first page of the search engines. The organization do provide all the basic information that a user may need while going through its online site. Are the requirements that are provided to the users are appropriate? The requirement that are provided to the users are precise and it provides the contact details in the portal in case of any doubts. How well does the website reassure users about the security and use of their information? The company has collaborated with Australian Privacy Principles under the legal requirements of the Privacy Act. The Act ensures that there is no disclosure of private information of the users without consent. How well does the website foster user trust in the organisation? The company has 80 trusted years of the experiences and it has been fostering 250 million revenues. How well does the website address legal issues associated with use of the website or engagement in transactions? How well does the website provide for the accessibility needs of users? How well does the website address the language or cultural needs of users? Does the website contain all the product information that a user could reasonably require? The site contains all the requirements in precise, with the accurate information as per addressed by the user. Does the website allow all the customisation (user-managed features) that a user could reasonably expect? How well does the website personalise the experience for users? Does the website identify sufficient channels for user service/support? How easy is it to find any information on the website about the organisation, their products or services? The information provided in the online site provides a precise overview of all the information required by the user who has accessed the site for the first time. Is the website easy to navigate (i.e. move through the website to find information, products, or services, and engage in transactions with the organisation)? It has pretty good navigation but it all depends on the internet speed that has been used to access the website, the server overloading is quite rare. How appropriate are the website aesthetics (e.g. use of layout, colours, imagery, font) for the target audience? How well does the website foster community among users? How well does the website support different web-browsers or platforms (e.g. mobile devices)? Platform independent, can be access over the systems of mac and windows both. The platforms does not hinder its performance. It can be used over mobile phones with Ios and android platforms used in the mobile phones. How quickly does the website load into your browser and do all website features, links and embedded objects work as intended? The server is fast, the website load all the information very easily. The media files load depending upon the speed and availability of the internet coverage. Does the website provide a sufficient range of delivery options as can be reasonably expected? The online services are quite easily delivered to users who want to access the benefits and facilities that are provided by the company. The table is the overall performance analysis of the company Nexia accounting. The website provides the overview of the business the company indulges in. The website of the business provide concise but overall overview of the information that the user needs to know while accessing the website. The information that is over the online site are overall accurate and supported by the testimonials and reviews of previous users. All the information gathered on the site are under discretion. All the information from the chat box to user information are under the private policy and legal disclaimer. The site have international clients showing the trust of the users in this financial company. The website is accessible to any users above 13 years of age. The site is has international recognition in New Zealand so it has overcome cultural barriers quite efficiently. The home page provide overall information with the hyperlinks stating every details clearly. It does allow the personalisation of the site. The chat box present on the homepage aids the users in case of any problems and doubts. Yes, it depends on the internet speed and network coverage of the place the site is being accessed. The transaction done are pretty fast and secure. How appropriate are the website aesthetics (e.g. use of layout, colours, imagery, fonts) for the target audience? Proper use of the colours ,fonts and related images attract the target audience around Australia and New Zealand(Madhoun,,Guenane and Pujolle, G., 2016). The relatable images of the places that the company works in shows that the site is community friendly. How quickly does the website load into your browser and do all website features, links and embedded objects (eg: media files or applets) work as intended? Depends on the network coverage, internet access is quite important to access the website. The benefits could be accessed through phones and there are offline solutions available like customer helpline number to keep the track of the policies that have been purchased. The company provides range of benefits depending upon the budget range of the user. But it mostly deals with big business and companies and not the start-ups .have installation fees and set up fees as well(Dudin et al. ,2014). Does the website provide a sufficient range of delivery options as could be reasonably expected? The online package is delivered in minutes, after the payment is cleared from the user(Nilsson and Stockenstrand,2015). The two finance accounting websites namely Nudge accounting and the Nexia ANZ are analysed in the above assessment tables showing their accessibility, their appearance, platform independence, security management, ease of payments. The results deduced are used to compare and contrast both websites against each other through the following table. The company has provided the user with child lock that assure that no user of below 12 years can access the site. The company expands its branches to New Zealand as well(Byers et al.,2018) The company has exposure that is more global. The nudge accounting has 80 years of experience in the market still lags behind Nexia. The company has 40 years of experience still grew faster than Nudge Accounting. The company gives limited information to the user. The user need to access pages one by one to gain information (Gonçalves, Martins and Branco, 2014). The company has all the information available n the homepage each linked with the hyperlinks that summaries the details but provides all information at a glance. The company provides various affordable aids irrespective of the size of the business; they do not have any extra charges or set up fees. It is a monthly subscription of all the services it provides(Fanning and Centers,2016). Because of the quality, the company is not as flexible as the nudge accounting in service providing. It has very limited field of work. It has a variety of field to work with including health and education. The above-mentioned table shows that the NEXIA ANZ is overpowering the internet market more than Nudge accounting. The company has exposure that is more global, more option and better security. The Nexia ANZ promotes cultural friendly environment by maintaining the transparency of the benefit it provides for the company. The reports concludes with better analysis and assessment of two financial companies that aid in online bookkeeping, taxation services and key management options to help a start up to grow in a better manner. The comparison shown against each companies provide a broader view about the progress of the companies. The comparison shows the aspects in which the company has to make progress and be better in their fields. The report gives the idea about how online E commerce works efficiently and also what are expectations of the users that are needed to be fulfilled by company. 1. Qeisi, K., Dennis, C., Alamanos, E. and Jayawardhena, C., 2014. Website design quality and usage behavior: Unified Theory of Acceptance and Use of Technology. Journal of Business Research, 67(11), pp.2282-2290. 2. Byers, E., Gidden, M., Leclère, D., Balkovic, J., Burek, P., Ebi, K., Greve, P., Grey, D., Havlik, P., Hillers, A. and Johnson, N., 2018. Global exposure and vulnerability to multi-sector development and climate change hotspots. Environmental Research Letters, 13(5), p.055012. 3. Caron, X., Bosua, R., Maynard, S.B. and Ahmad, A., 2016. The Internet of Things (IoT) and its impact on individual privacy: An Australian perspective. Computer law & security review, 32(1), pp.4-15. 4. Carrigan, D., Gallagher, J. and Di Marco, B., 2017. Australia's new mandatory data breach notification regime: How to prepare your business. Governance Directions, 69(5), p.280. 5. Dhar, S., 2018. Benefits of Using a Good Web Design Company. 6. Dudin, M., Kucuri, G., Fedorova, I., Dzusova, S. and Namitulina, A., 2015. The innovative business model canvas in the system of effective budgeting. 7. El Madhoun, N., Guenane, F. and Pujolle, G., 2016, February. An online security protocol for nfc payment: Formally analyzed by the scyther tool. In Mobile and Secure Services (MobiSecServ), 2016 Second International Conference on (pp. 1-7). IEEE. 8. Fanning, K. and Centers, D.P., 2016. Blockchain and its coming impact on financial services. Journal of Corporate Accounting & Finance, 27(5), pp.53-57. 9. Gonçalves, R., Martins, J. and Branco, F., 2014. A Review on the Portuguese Enterprises Web Accessibility Levels–A website accessibility high level improvement proposal. Procedia Computer Science, 27, pp.176-185. 10. Nexia.com.au. (2018). Nexia | Taxation Consulting & Business Advisory Services. [online] Available at: https://nexia.com.au/ . 11. Nilsson, F. and Stockenstrand, A.K., 2015. Financial accounting and management control. The tensions and conflicts between uniformity and uniqueness. Springer, Cham. 12. Nudge Accounting. (2018). Online Accountants for Small Business - Nudge Accounting | Online Accountants For Small Business. [online] Available at: https://nudgeaccounting.com.au/ . 13. Renz, D.O., 2016. The Jossey-Bass handbook of nonprofit leadership and management. John Wiley & Sons. 14. Rezaei, S., Chandran, R. and Oh, Y.M., 2018. Pre-Purchase User Perceptions of Attributes and Post-Purchase Attitudes in Building Successful Online Retail Promotional Strategies. In Digital Marketing and Consumer Engagement: Concepts, Methodologies, Tools, and Applications (pp. 368-382). IGI Global. 15. Schuh, S. and Stavins, J., 2016. HOW DO SPEED AND SECURITY INFLUENCE CONSUMER PAYMENT BEHAVIOR?. Contemporary Economic Policy, 34(4), pp.595-613. 16. Wright, D. and Raab, C., 2014. Privacy principles, risks and harms. International Review of Law, Computers & Technology, 28(3), pp.277-29.